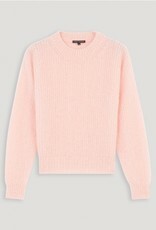 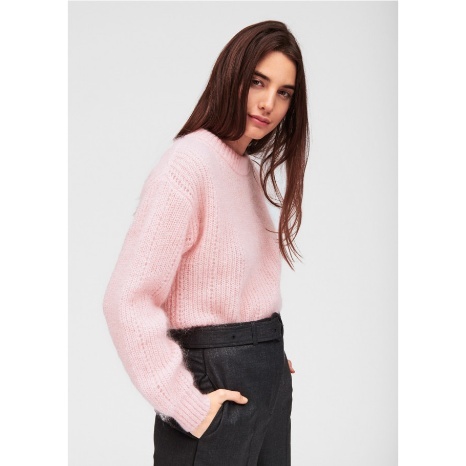 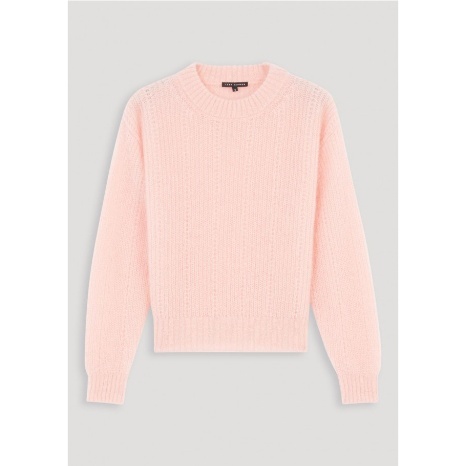 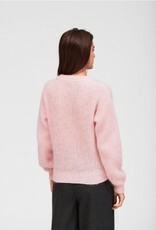 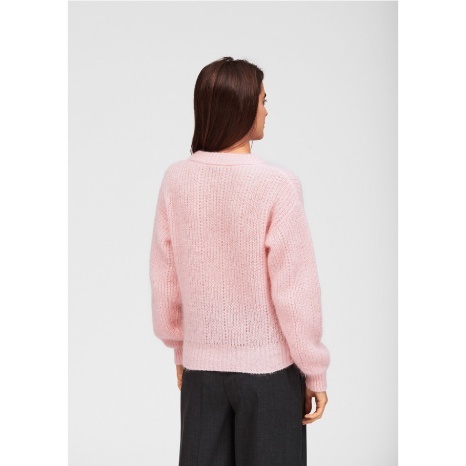 This oversized mohair sweater in a light pink colour has fitted cuffs. 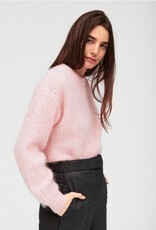 It is very warm and will be perfect for the winter season. 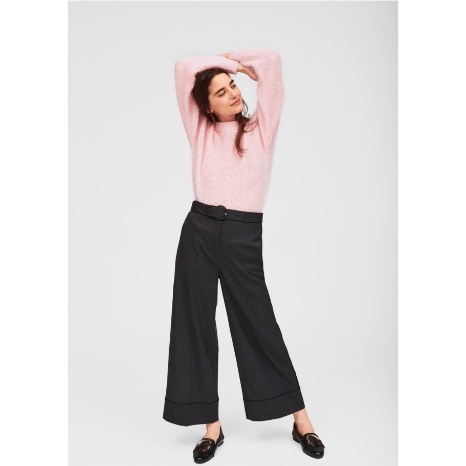 The model is 179 cm tall and wears a size S.